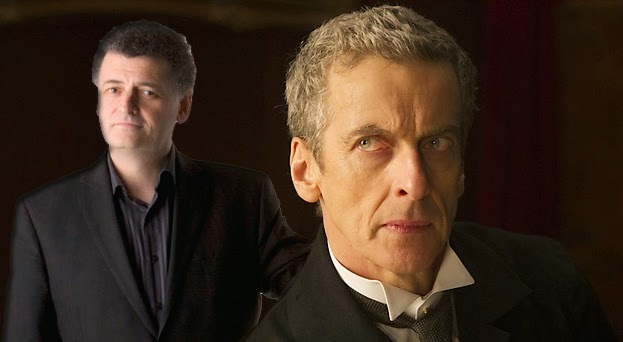 DOCTOR WHO - The Moffat Master Plan? | Warped Factor - Words in the Key of Geek. DOCTOR WHO - The Moffat Master Plan? As we count down the days to Capaldi’s Dawn, Tony Fyler looks back at the last time we were treated to a ‘Dark Doctor’. Since the reinvention of Doctor who in 2005, much has been made of the Doctor’s dark side. Christopher Eccleston and Russell T Davies did unparalleled work creating a three dimensional character who, against the type of much of the character’s history, had baggage, and who had crucially lost a battle, not only with the Daleks, but against something in himself he had fought to never know. David Tennant lightened the mood for most of his tenure, which meant when he tapped into the ‘Dark Doctor’ it was somehow more shocking – watch him stand in Runaway Bride, watching the Thames pour relentlessly down onto the Racnoss babies and see him will them dead. Watch him turn his back on the inhabitants of Pompeii and deliberately harden his hearts to the dead and the dying. Watch him, as Wilf is flooded with radiation, rail against the man’s pointlessness and what it will cost to rescue him. The tenth Doctor was ‘sorry…so sorry’ more for what the universe had turned him into than for any immediate cause of pain to his friends. Matt Smith brought randomness and a more old grandpa charm to the character, but occasionally lashed out with the frustration of an old man too, as if the grandpa in the young boy’s body was just a handy front to hide or forget some nameless pain. Of course in the era of New Who (yes, I’m stubbornly refusing to use the text-speak NuWho), the great darkness at the heart of the Doctor is supposed to be the Time War, but since when did the idea of a Dark Doctor seem like a great idea? And why would Steven Moffat and the production team, as all the indications suggest, be contemplating going down a more overtly dark route once again? 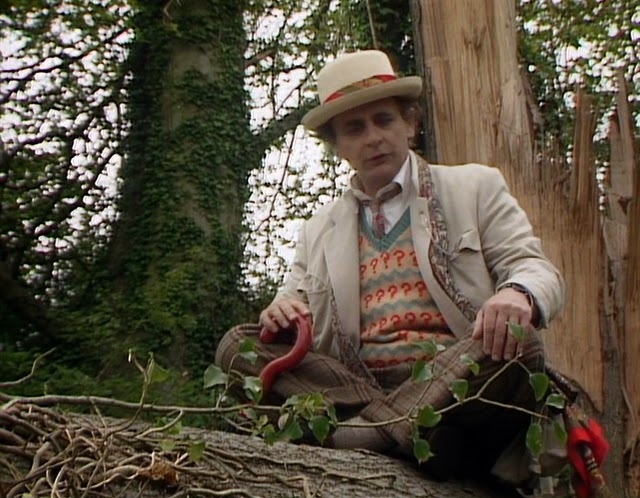 The idea of the Dark Doctor comes fairly and squarely from the time of Sylvester McCoy and Script Editor Andrew Cartmel. Before that, the Doctor had been many things: grumpy under Hartnell; occasionally, but by no means continually manipulative under Troughton; waspish under Pertwee; disconcertingly alien under Tom Baker; a snappy librarian under Davison and explosively pompous under Colin Baker – but never actively devious, never pushing companions through mouse-mazes of emotion, never particularly brooding and uncommunicative, never especially cold, so as to wrong-foot the audience in their surety that he represented safety and goodness and doing what was right. Cartmel came in to the programme with a bold, if arguably unsupported claim – that the Doctor had become an extra in his own show (the evidence for this has never been particularly compelling). 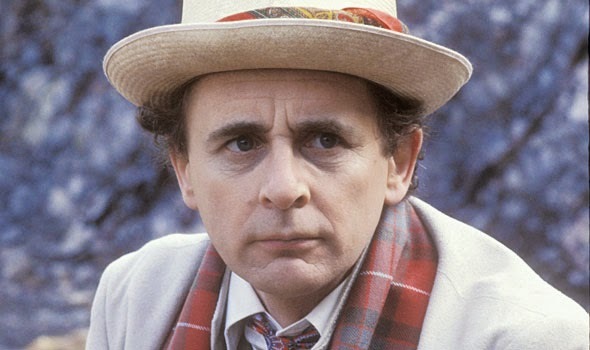 He intended to make the Doctor unpredictable and mysterious ‘again’ and in Sylvester McCoy, perhaps worried that his history in comedy would be interpreted as the way of his Doctor, he found an eager accomplice. Again, arguably, this was a fool’s errand – once you’ve had The War Games, once you’ve had The Deadly Assassin, the mystery of what the Doctor was running from is exploded, so to make him a mystery again, you have to practically retcon the show’s history, or invent a bigger, broader, secret history for him to keep the audience guessing. This effectively is what Cartmel and McCoy did, building the Doctor up as ‘much more than just another Time Lord’ and even stopping one edit short of announcing in 25th anniversary story Silver Nemesis that the Doctor was essentially God. So why go Dark Doctor? What does it get you? First and foremost it gets you a lot of happy grown-up fans, who think the show is then more serious, and aimed more squarely at them. Secondly, and with more justification, it allows you to hold on to the fans you won at age eight, and evolve the stories you can tell as they grow up, extending the life of their fandom into their teenage years (Harry Potter series, anyone?). Third, it allows you to tell longer story-arcs rooted in character development. And fourth, it allows you to claim both that you’re doing something radically different, and that you’re achieving a new level of character-based truth, because in any real world, living a life as long and dangerous as the Doctor’s is bound to turn a person either into a psychopath (like Blake’s 7’s Avon) or a brooding, dark-souled poet-knight, willing to do what he does for his idea of what’s right, even at the expense of the feelings of those around him, who don’t carry his burdens. Cartmel and McCoy wanted as a matter of urgency to be different from their respective predecessors, Saward and Baker. Saward’s scripts were notably plot-driven, with brave exceptions (Revelation of the Daleks, we’re looking at you), and Baker’s Doctor was loud, rambunctious, and the most obvious person in any room. The scripts commissioned by Cartmel were often essentially convoluted ideas, with story-sense coming a very definite and distant second to atmosphere and symbolism. McCoy’s era was basically the show’s Sapphire and Steel period, but this allowed the Doctor to become a controlling miasma, and it allowed the real story-thread of his era to be about the evolution of an untamed, angry young girl, through danger and suffering often instigated bythe Doctor, into a capable woman of the universe who had faced her demons and beaten them (albeit with a baseball bat till they lay squealing for mercy at her feet). Matt Smith’s Doctor always seemed a contradiction in terms – old clothes on a young body. The story of his Doctor was never miasmic. He too, like Colin Baker, frequently announced his presence, and right from the very beginning, he used the reputation of the Doctor to defeat his enemies. The swagger of ‘basically… run,’ takes the idea of the brash sixth Doctor and gives it its ultimate expression. The Pandorica speech, for all its grandstanding, brings him low when it turns out the menaces of the universe fear him more than they hate each other. His legend becomes too big, and at Demon’s Run, people die, both in fear and defence of that legend. His ultimate atonement for those deaths comes in staying put and surrendering his freedom – the last freedom he thinks he will ever have – and doing it willingly to save the people of Trenzalore. After such a grandstanding Doctor, the way to be as different as possible is to have a Doctor who does more than regret, and more than forget. It is to have a Doctor who repents, who puts things right in his own house (in a strong echo of McCoy’s finishing of old business in several of his stories – Silver Nemesis, Remembrance of the Daleks, Fenric), and who goes, after all the shouting, back ‘into darkness’, into intensity and gravity and brooding, to atone for his mistakes – and the universe to which they’ve led. While McCoy’s stories were frequently tedious for those with a more conventional expectation of storytelling, the overall effect of his Dark Doctor was to turn those who switched on during his era into the writers who took the show seriously enough to keep it alive beyond its point of screen-death. The writers who have become the modern grandees of the new show. And Doctor Who has never been as popular as it has become under Matt Smith. 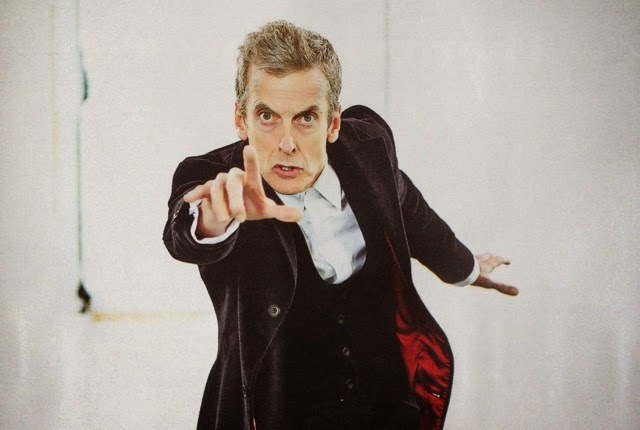 The much-reputed Dark Doctor of Capaldi could be a very clever (not to mention McCoyishly manipulative) way of keeping that fanbase alive, and taking it into more complex emotional realms for the next few years. Or of course, it could be a way of alienating that audience and the next generation of eight-year-olds, leading to the show being scheduled against Coronation Street and taken off the air. Either way, any minute now… He’s a-comin’.